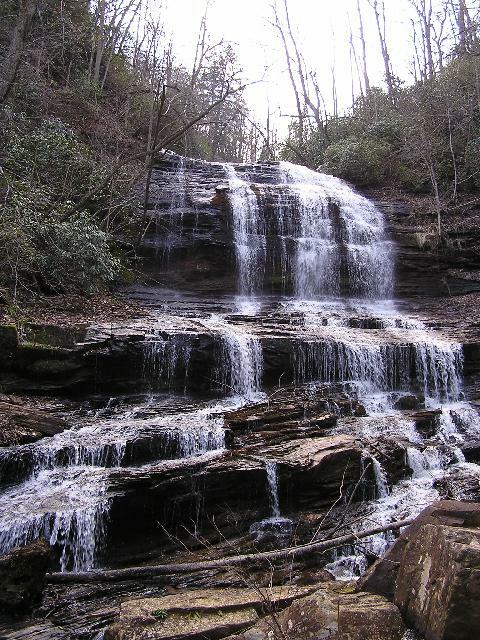 Directions: Pearson's Falls is located just off U.S. Route 176, 4 miles north of Tyron and 3 miles south of Saluda. You can get to Route 176 between Tyron and Saluda from I-26 just north of the border with South Carolina. 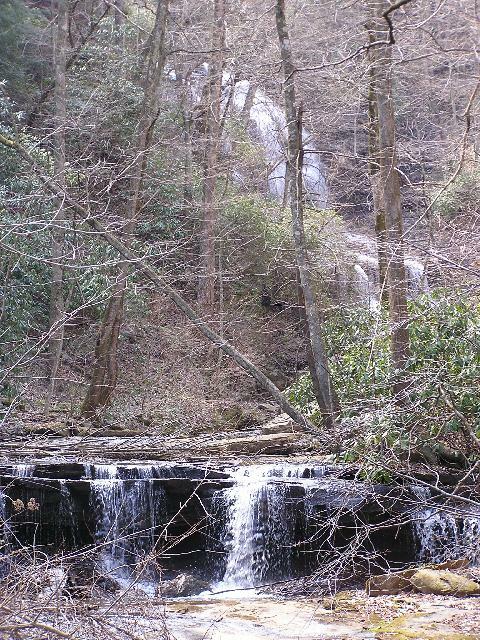 There are signs to the falls from Route 176. 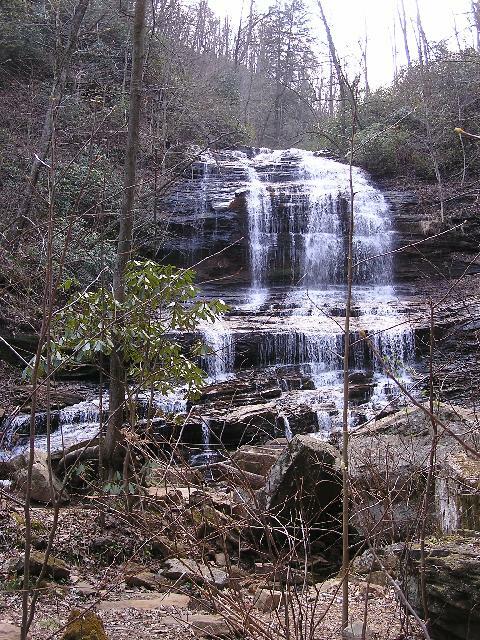 The waterfall is about .9 mile down Pearson Falls Road. 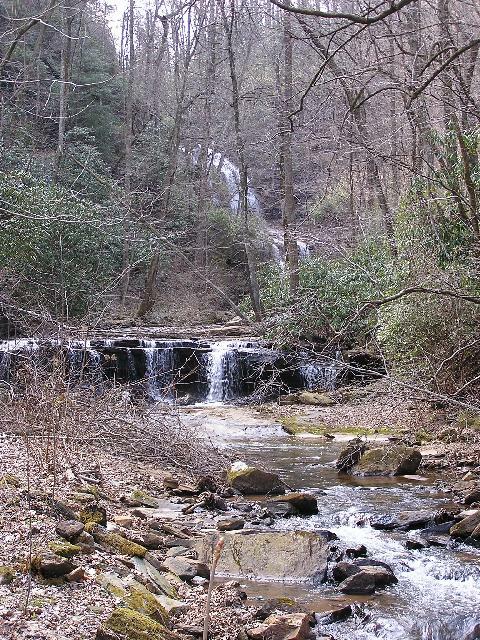 Trail: The trail to the falls is about 1/4 mile long and was not difficult to walk. 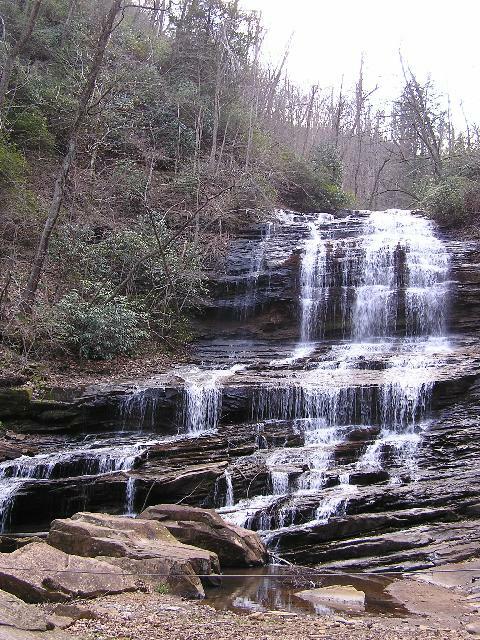 Other Information: I visited this waterfall March 29, 2005. It is located on property owned by the Tyron Garden Club and is open to the public. There is a small fee at the gatehouse: $3.00 for adults and $1.00 for children age 6-12 (children under 6 free) when we were there. The hours are limited: Closed Mondays except Memorial Day, Fourth of July, and Laor Day. March 1 - October 1: 10:00 am to 6:00 pm; no entrance after 5:15. Open Sunday at noon. November 1 - February 1: 10:00 am to 5:00 pm; no entrance after 4:15. Open Sunday at noon.